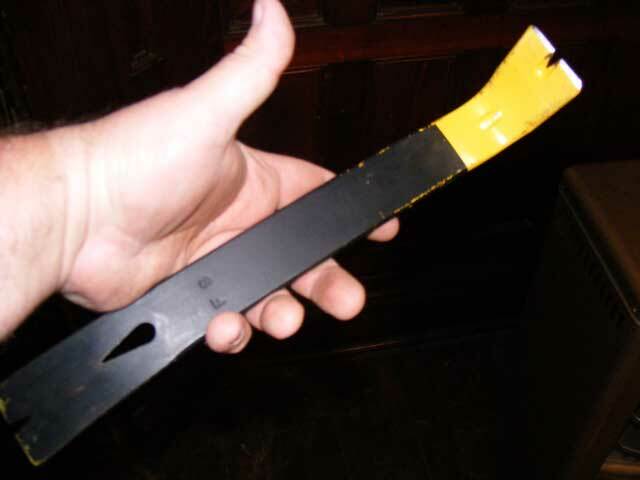 This is a Stanley Tools Wonderbar…I believe the 11″ version. Note, I have no stake in Stanley Tools…yet…(Hey Stanley! Wanna sponsor me?) but must mention this by brand and name. It is an amazing tool! I’ve been around a while, and have worked on a lot of remodels and repairs. I’ve had occasion to cause mass destruction inside and out of buildings on multiple occasions. I’ve used crowbars, sledgehammers, skillsaws, heck, I’ve even used a chainsaw inside a building. Suffice it to say, I know my destruction. I picked up one of these Stanley ‘Wonderbars’ in passing at the local home center (I tend to call them “Homeowner Hell”) some years ago. They are not cheap, but it looked handy. Handy is a complete understatement. Despite it’s small seeming size, this implement of destruction is a joy to work with. It pries, it gets behind tightly nailed boards, it pulls nails…all with startling ease and efficiency. I could single handedly dismantle this entire house with little more than this simple device. 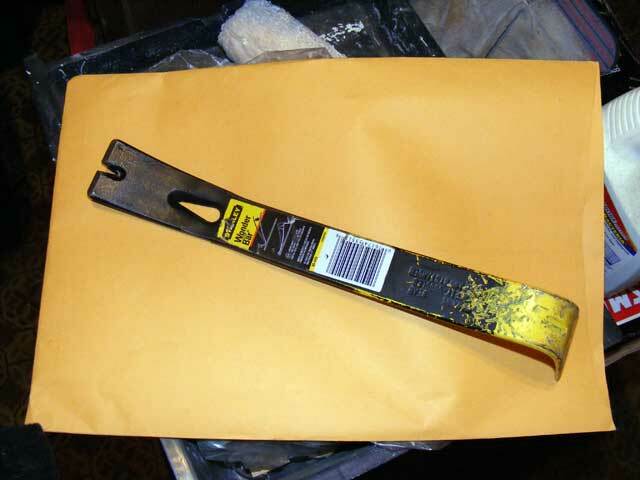 Save the crowbars for the giant beams…the Wonderbar is a supremely designed and manufactured tool of massive destruction. For you gamer/geek types, this is a +20 vorpal bar of separation and destruction. Targets get no savings throw. I’d have named this thing something like, “Destructor of Worlds” but I suppose it’s a bit harder to market that way. If you’re pondering any sort of job that requires any amount of destruction (all the good ones do!) forget the crowbar and pick up one of these things.